Just released: Five Finger Death Punch's new album, their seventh studio album: And Justice For None. Their seventh studio album, already with several singles taken from it: Gone Away, an Offspring cover; Fake (the one track on the album that you might want to cover the mynah bird's ears for... or not. I always wanted a mynah bird who knew how to swear); Sham Pain (with a nice play on words); and When The Seasons Change. 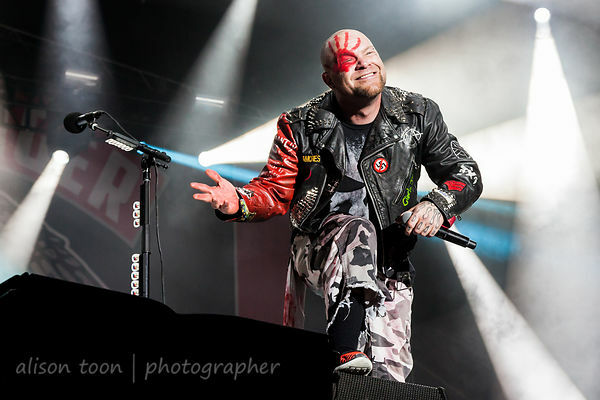 It's what we've come to expect from FFDP, and more: powerful metal-rock, blistering guitar, insane drumming and thundering bass, with Ivan Moody's vocals ranging from grouchy-angry-growling honey-monster to the most soulful, deep and touching troubadour on the rock scene today. Check out their website for info on where to buy your copy, or head to your local store. If you want the vinyl, there's a couple more weeks to wait--pre-order and you should receive a digital copy immediately (I did). 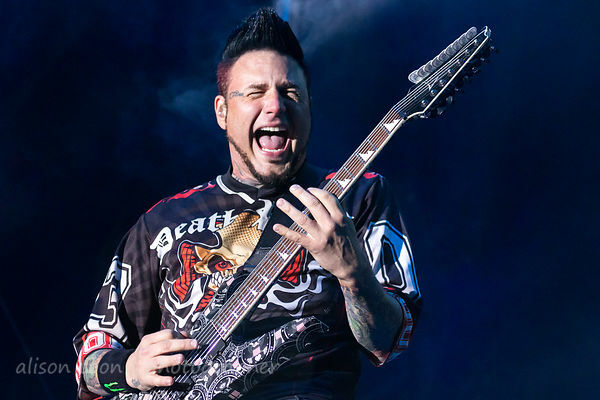 Five Finger Death Punch are currently on tour in the USA and Canada: I hope to see some European and UK dates on here soon. Fingers crossed!